“Wait, what’s that on the scoreboard?” someone might ask who just barely made it to the end of Cal rugby’s home match with Utah Valley, seeing 06-7. The scoreboard, however, does not always tell the full story. 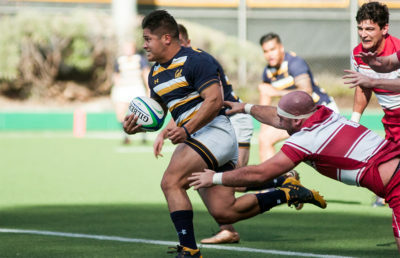 The final score was actually 106-7 in favor of the Bears, who wrapped up Saturday with two wins as the reserve team defeated Cal Maritime’s varsity side, 65-10, prior to the rout over Utah Valley. Cal (10-0) had its lowest-scoring game this season against Cal Maritime, but a usual performance on defense secured yet another easy win. Senior wing Justin Dunn was an exception to the slow offensive showing as he put up four tries in the win. Another four-try performance came from sophomore wing Sam Cusano, who benefited from Clark’s fast and wide offensive plan, in the Utah Valley match. At the beginning of the contest, the Wolverines looked like they would be the tough challenge the Bears were expecting. The number of one-on-one collisions was quite high, with neither side backing down from the fight. Utah Valley couldn’t keep up this level of toughness, best exemplified by Cal sophomore prop Damon Wiley streaking through four different defenders on his way to a try in the 17th minute to increase Cal’s lead to 12-0. “I think our plan was to just wear them off in the first half so we could finish the game out in the second,” Cusano said. 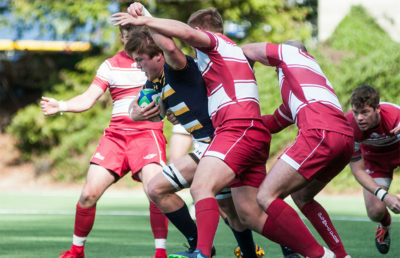 Cal’s up-tempo play, combined with quick passing to use the whole width of the field, wore down the Wolverines as the Bears scored six tries and four conversions in the final 13 minutes of the first half to expand the lead to 50-0. Utah Valley started the second half searching for its morale and scored its only try and conversion six minutes into the second half, cutting the lead to 57-7. The Bears, however, continued to run the field up as Utah Valley started having problems retreating on defense after giving up the possession of the ball. 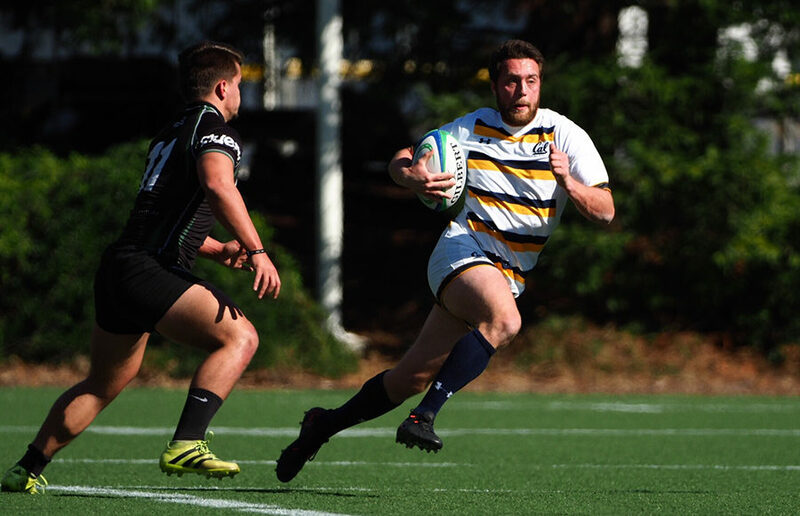 Cal ended the game with seven more tries and seven conversions to extend its score into triple digits. Cal’s dominance this season was evidenced again, as even its own scoreboard cannot really keep up with the high-scoring Bears. The Bears’ next challenge will come in the form of a road game against the University of Arizona. 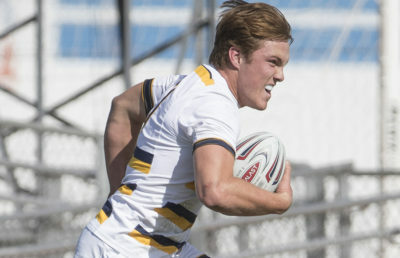 The Wildcats are a force to be reckoned with, as they topped Cal 31-26 in 7s play. Arizona will be sure to demand Clark’s players’ all.